In this Nicehash review, we investigat6e cloud mining plans offered by the platform at this moment. 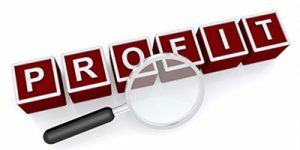 We investigate the company’s ownership & background, fees, payment methods, mining plans, additional services and security features. The aim is to provide complete analysis, including profitability attractiveness, of the Nicehash in terms of cloud mining marketplace. Much like with its peers, we propose conclusion remarks on how profitable it is to purchase plans at Nicehash. 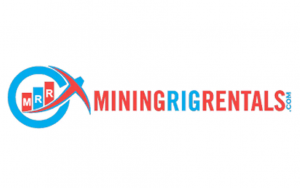 Throughout the report, we also use comparison analysis with cloud mining provides such as Minergate, MiningRigRentals, Hashing24, and Hashnest. Nicehash was found by Marko Kobal and Matjaž Škorjanc who are Slovenian cryptocurrency entrepreneurs and enth8usiasts. The platform started with operations in 2014 with the main aim of becoming the largest cloud mining business in the industry. The headquarters of the company in Ljubljana, Slovenia where organization’s own mining equipment is located. With physical office and ownership knew, the company tries to establish itself as trustable cloud mining marketplace. The company went through difficulties several times, with the most known being phishing attack in December 2017. In that particular hacking incident, over 4.7000 bitcoins were stolen and company’s reputation ruined. The effect was so large that Marko Kobal resigned from his position of CEO. Nicehash is similar to Minergate in terms of contract length. Once bought, there is no time limitation indicating the plan’s length. The company itself reserves the right to review the terms of the plan should market trends change drastically. At Nicehash, you have over 30 coin cloud mining plans to choose from, with most popular being Bitcoin, Ethereum, and Zcash. Bidding on the program works as a live auction, where you post bids and hope it gets accepted. The market is thus le by clients, who would create bids. Although democratic, you are guaranteed some hash power even if your bid is not matching others. You can check out the marketplace in a picture below this text. All coins are organized thus, while the bidding currency is BTC. 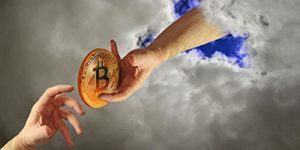 Nicehash does not support fiat currencies, meaning that you should first get coins and then use them for cloud mining. There are no maintenance fees since you are considered to be part of the bid value. You create a pool bot that acts as “worker” and use the bot to receive payments on a daily basis. You need to choose a pool where other clients have placed their bots (read bids). In our analysis, we use fixed order (labeled F) using the current hash power and BTC price at the top of the marketplace list. Thus, we use a bid that would work immediately. In most cases, the pool already has a scheme on how rewards are spread around. We use fair share, meaning the more you invest, more power and returns you will get. The results can be seen in a table below. The above result is highly biased as we took only 1 hour of changes in the pool. In many cases, the difference can go even negative. On average, many pools turn out to be profitable though not as good as shown above. It definitely is a good result to have, much better than Minergate or Hashing24, but you should be aware of risks as well. Numbers change every 5 minutes, thus result can change drastically as well. Nicehash, after the hacking incident at the end of 2017, decided to increase its security level. Now, you have several tools available to you. You have two-factor authentication (2FA) which can be used to secure your login, buying and withdrawing activities. 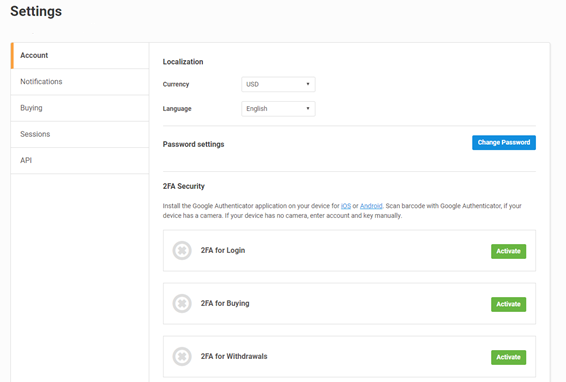 You also have a password manager, email notification system, and API protection tools, as shown below. 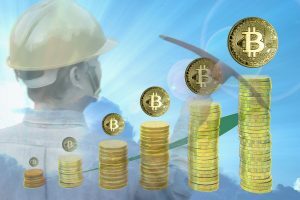 Cloud mining providers always had issues with the reputation of their services since industry itself is filled with schemes and scams. Nicehash, for a change, was respected by the community due to the flexible bid system. Unfortunately, the latest hacking incident has put a dent in the company’s reputation. Although largely not true, comments like the one above really do hurt the reputation of the Nicehash. In this Nicehash review, we went over platform’s cloud mining services, security, fees, and reputation. Although business offers legitimate cloud mining services with potentially great profits, it is a risky market to be part of. Mining difficulty changes from minute to minute, meaning that you depend on luck most of the time.